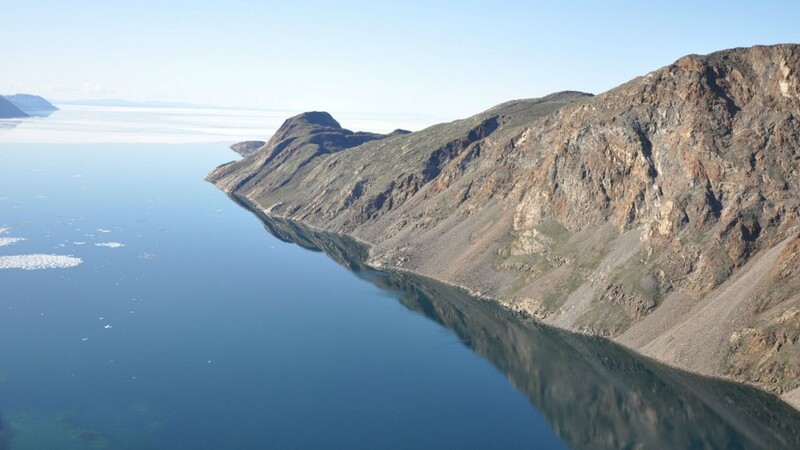 Shell Canada has announced it has voluntarily contributed offshore rights to the Nature Conservancy of Canada to support the establishment of a national marine conservation area off the coast of Nunavut. A federal proposal for a national marine conservation area in Lancaster Sound currently includes 44,500 km2 of marine territory that encompasses most of Lancaster Sound. The contribution of Shell's permits, located outside and east of these boundaries, could clear the way for a larger national marine conservation area. Expanding the proposed conservation area would positively respond to Inuit aspirations to protect their traditional territory, and support the federal government's target of protecting at least 10 percent of Canada's marine and coastal areas by 2020 – an international target under the United Nations Convention on Biological Diversity. Lancaster Sound is the eastern entrance to the Northwest Passage, the legendary corridor through Canada's Arctic Archipelago. It is an area of critical ecological importance to marine mammals, including seals, narwhal, beluga and bowhead whales, as well as walrus and polar bears. It is bordered by some of the most important seabird breeding colonies in the Arctic, with populations totalling in the hundreds of thousands. The proposed Lancaster Sound Marine Conservation Area would protect a representative portion of Lancaster Sound's vital marine ecosystem while also allowing human uses to continue in an ecologically sustainable manner. It would also support the sustainability of coastal Inuit communities and protect this marine heritage for present and future generations of Canadians. In transferring these permits, Shell and the Nature Conservancy of Canada recognize the science and planning work of many non-governmental organizations that has set the stage for the long-term protection of an important piece of Canada's natural and cultural heritage. The Nature Conservancy of Canada works closely with all levels of government and many organizations, including Shell, to protect natural areas and the species they sustain across Canada. As a supporter of the Nature Conservancy of Canada's conservation program, Shell has contributed more than $6.5 million in financial resources, land and mineral rights to the organization over the past 30 years. Shell made similar gifts to Canadians when it contributed rights to the Gwaii Haanas National Marine Conservation Area Reserve and Haida Heritage Site, and the Mount Broadwood Heritage Conservation Area. "I am delighted that Shell is making this major contribution to supporting marine protection in the Lancaster Sound region. Contributing our offshore rights to the Nature Conservancy of Canada builds on 30 years of joint conservation efforts between our organizations. Through collaboration across sectors, we can achieve greater conservation outcomes together," said Shell Canada President and Country Chair, Michael Crothers. "The Nature Conservancy of Canada is pleased to be able to work constructively with government and business – to take meaningful steps towards achieving Canada's global conservation commitments. We are grateful for Shell's contribution. Together we are supporting the conservation of an area of uncommon beauty, incredible biodiversity and rich ecological importance for the benefit of Canadians and future generations," said John Lounds, President and CEO, Nature Conservancy of Canada. "We are now one big step closer in a 40-year process to protect an area that's been important to Inuit for millennia. Lancaster Sound, Tallurutiup Tariunga in Inuktitut, is one of the Arctic Ocean's richest marine habitats – an area of stunning natural beauty and deep cultural significance. The inclusion of these lease areas helps complete what will be one of Canada's boldest protected areas and will allow for boundaries that are consistent with community aspirations for Lancaster Sound," said Christopher Debicki, Nunavut Projects Director, Oceans North Canada.